2) fire does not burn hot enough to melt steel (think of the eyes on your stove, the grills you set firewood logs on, etc.) 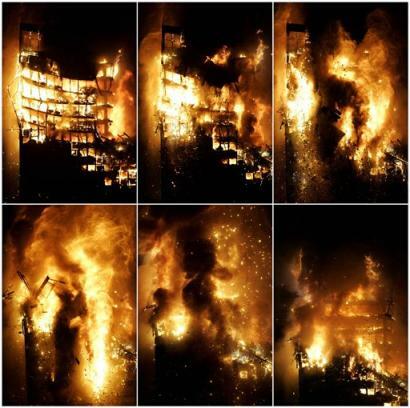 if the theory is that minor fires caused the building to fall then does a freefall collapse sound reasonable? 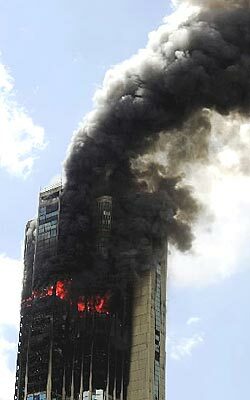 the building fell VERY fast for a building which in theory was falling due to fire causing steel to melt. keep in mind the fires were in specific spots. 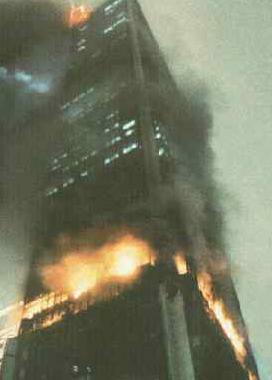 3) just prior to WTC7 falling many were being told WTC7 was about to fall. it had been reported as on fire approximately 1-2 hours prior. people were told the building was about to fall even though there was no evidence it was unstable, and no historical data to suggest it was even possible..
if the lease owner says it was 'pulled' (controlled demolition).. the video evidence shows it was a controlled demolition.. people were told the buildings were about to collapse and to stay away.. and the fires could not have made the building fall in that manner according to physical evidence and all of world history.. then did WTC7 fall from controlled demolition? what pulverizes concrete into a fine mist floors below the 'collapse'? please visit wtc7.net for more information about WTC7. EDIT: on a side note, a worker at ground zero admitted today he helped recover 3 of the 4 black boxes from the towers attack.. the official story says they were never recovered.. I have no problem with facts from 9-11 but honestly... dz, have you NEVER researched why the steal stuctures collapsed? The main towers where the jet fuel heated up the fire much faster than 7 bent the steal stucture, and then the pure weight brought them down. 7 took a little longer. Fire can get hot enough to bend the steal frame even with out the jet fuel, it just takes a little longer. And as a side note... who are "They?" this post sounds nothing more than an uneducated, unresearched anti-american BS. Nate (not verified) on Tue, 05/24/2005 - 3:38pm. I have seen some suggest that Larry Silverstein's 'pull' comments were in relation to having firefighters removed from the building. This is NOT true. According to the FEMA reports the building was evacuated early in the morning and noone was in the building the rest of the day. Also, when was the last time you heard someone refer to people as 'it'? Taken in context of the sentence, and with the industry term 'pull' the clip of Silverstein aboe is conclusive as to what he meant, that they demolished WTC7 on 9/11. dz (not verified) on Wed, 06/22/2005 - 4:02am. The only problem is Nate, that WTC 7 was not hit by an airplane. It's a side building. There was no jet fuel there in similar conditions, though it was said that there may have been diesel fuel. 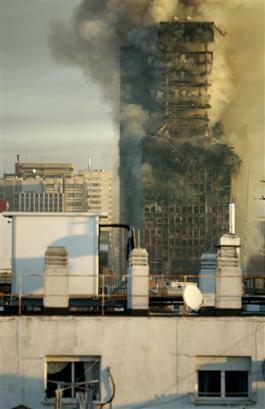 Still no similar building has ever collapsed in what looks like a controlled demolition, from a simple fire. Moreover, this happened during a relatively short period of time. 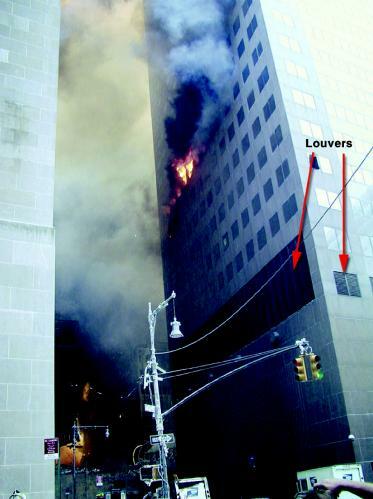 Building failures lead to buildings falling over, not vaporizing in neat piles. 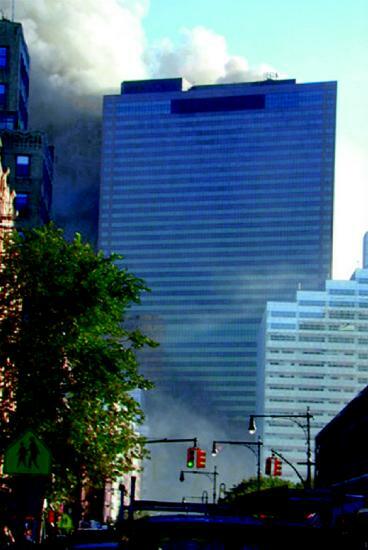 The WTC7 building (not WTC 1 or 2) housed the CIA, FBI, IRS and SEC all in one building in NYC. Silverstein, the gentleman who owned the 100 year lease on all of the world trade center buildings once slipped in a taped interview and said that they "pulled" the building. However, the official story does not acknowledge this, and there is no explanation for why they would do this given the video. Lastly, to set up a building for demolition like that takes a days or weeks and can't be done while a building is on fire. Silverstein was able to collect insurance for the attack. And yet, if the building was pulled, this would be relevant. Why would the facts be hidden? There are serious questions that need to be answered. We spent more than 50 million on Monicagate, and a similar amount on investigating the Challenger disaster - and yet Bush initially budgeted only $3 million to investigating 9/11 and would NOT testify under oath. Neither would most of his advisors? Why? So, you see, you didn't really address any questions Nate. You just reasserted that you don't want to think about anything. There are plenty of people like that Nate. But they don't need to comment where people are trying to have a discussion of the facts. fred (not verified) on Tue, 05/24/2005 - 3:39pm.